Gov. Bruce Rauner speaks at an event. Rauner delivered a state budget address Wednesday, calling for tax cuts and pension reform. Two weeks after his state of the state address in the same chambers, Gov. 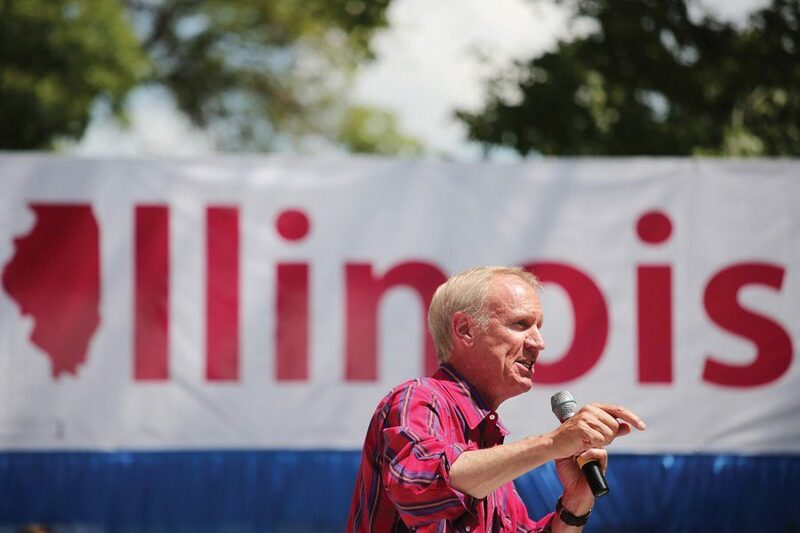 Bruce Rauner delivered an Illinois budget address outlining a proposal emphasizing tax reduction, pension and health care reform and reinvestment in specific areas of need. In the address, Rauner called for a nearly $1 billion dollar tax cut for Illinois residents. Rauner said they are “taxed out” and that higher tax rates cannot fix a structural need to slow state spending. “Our guiding principle is this: Only spend money we have, and don’t increase the tax burden on the people of Illinois,” Rauner said. Rauner said the state needs to begin asking school districts to share the cost of their pensions, and that Illinois can’t continue to just “pay the tab.” The proposed shift to include school districts would be phased in 25 percent increments per year over four years, and the state would help provide tools for schools to offset the increased costs. The governor added that the costs that would now be “closer to home” since they would be paid directly by districts, incentivizing people to find ways to lower expenses. State Rep. Greg Harris (D-Chicago), the assistant majority leader who delivered Illinois Democrats’ response to the address, said Rauner’s past three budgets that were introduced to the House were full of “phony accounting” that left the state “billions of dollars” out of balance. He said as a result, lawmakers would carefully review the latest budget to ensure it is balanced and fills the needs of people in Illinois. Harris added that the governor’s budget fails to address the bill backlog that was created when the state went without a budget for more than two years. The budget passed by a bipartisan group of legislators last year has put Illinois on “a more financially responsible path”, cutting state debt from $16 billion to $5 billion, he said. Businessman J.B. Pritzker and State Sen. Daniel Biss (D-Evanston) — Democratic frontrunners to challenge Rauner for his seat — also sounded off on Rauner’s budget address. In a news release, Pritzker said that Rauner “ripped a page from Daniel Biss’ playbook” by trying to balance the budget through slashing benefits for “public servants”. Biss did not respond to Pritzker’s comment in a news release regarding the budget address, instead charging Rauner with shifting costs for the state’s debts to those who can least afford it. Biss said the budget shows Rauner is willing to put the state through “another hostage negotiation” to keep the status quo.